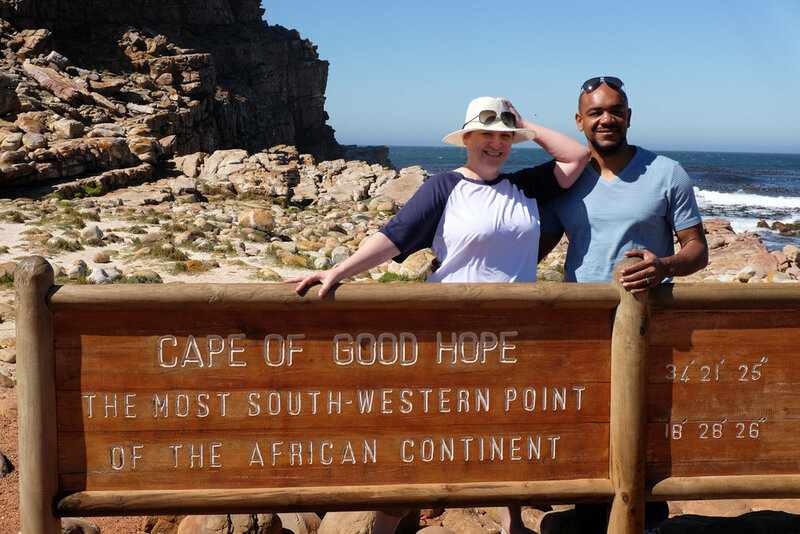 My wife Stephanie and I just got back from an incredible vacation to South Africa. We picked that destination the way we end up picking most of the destinations for our trips: Stephanie skims through travel deals that happen to correspond with the times that her school is closed for vacation, and if the price is decent, we pull the trigger. 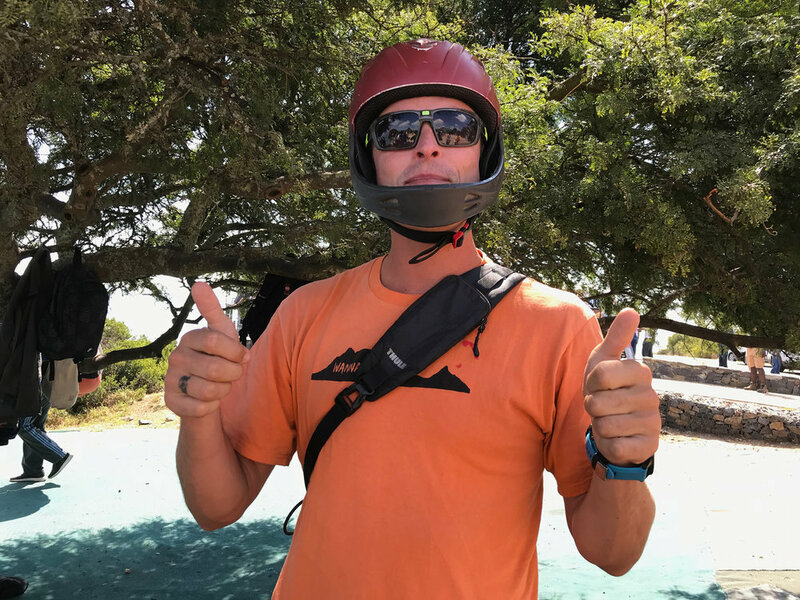 We booked the trip several months in advance, long before the critical water shortages that Cape Town has been experiencing started making international news. 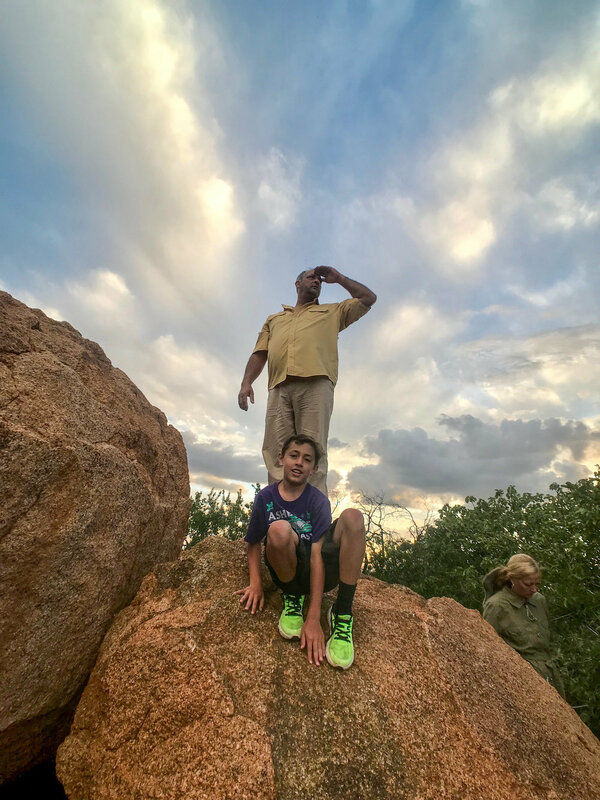 We were initially hesitant, and considered canceling the trip, because we had heard that there would likely be unrest as the water situation became more dire. 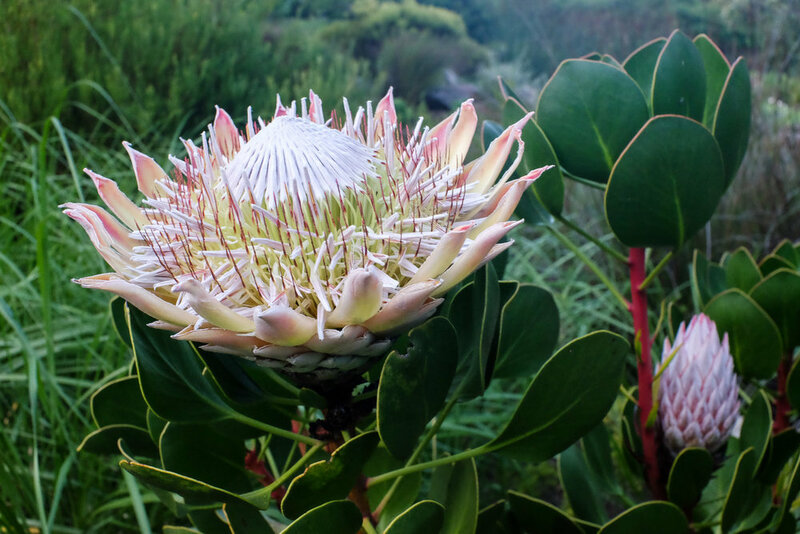 Fortunately, Cape Town's water conservation intitatives have turned out to be quite effective, and "Day Zero"—the day that the reservoir will run dry—has been pushed back to 2019. This made us feel much more at ease about the trip. In any case, we needn't have worried; other than being encouraged to take 2-minute showers, and finding hand sanitizer instead of working faucets in many public restrooms, we didn't really feel the effects of the water shortage at all. Probably a side-effect of visiting as a tourist; I'm sure the experience is still much different for residents. We flew Emirates, which resulted in a pretty circuitous route to Cape Town via Dubai. That added up to over 22 grueling hours of flying, despite the comforts of the very fancy Emirates service (yeah, even in Economy class). 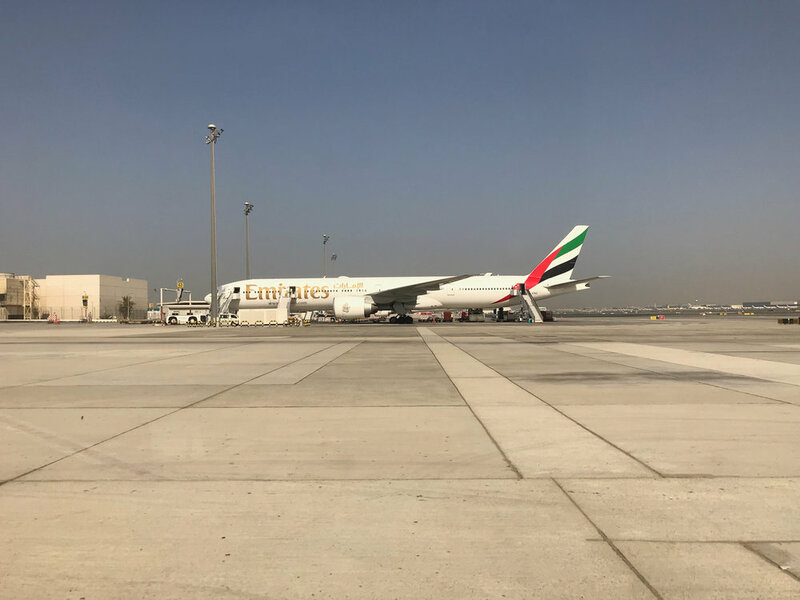 Sadly, we didn't get to see any of Dubai, other than a hazy glimpse of the Burj Khalifa tower off in the distance as we were bussed across the tarmac to our connecting flight. We booked our trip through Gate 1 Travel, which meant we were part of a tour group of about 40 people. 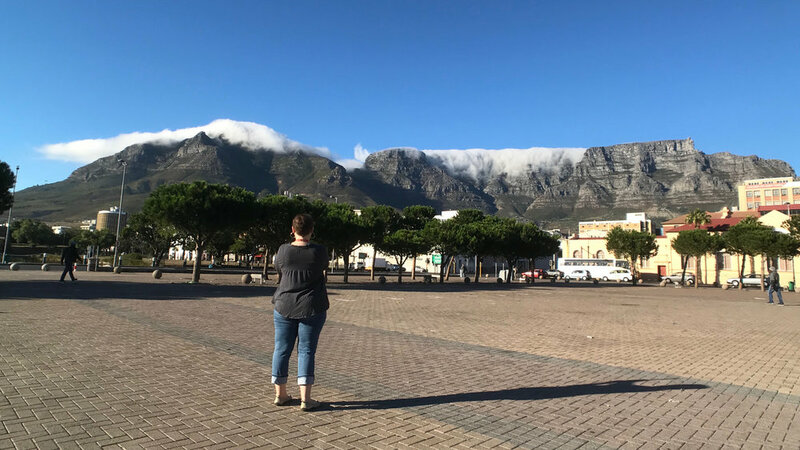 Our Cape Town itinerary took us through some of the city's major landmarks, including Table Mountain, the Victoria and Albert Waterfront, as well as a drive down around the Cape of Good Hope and Cape Point. 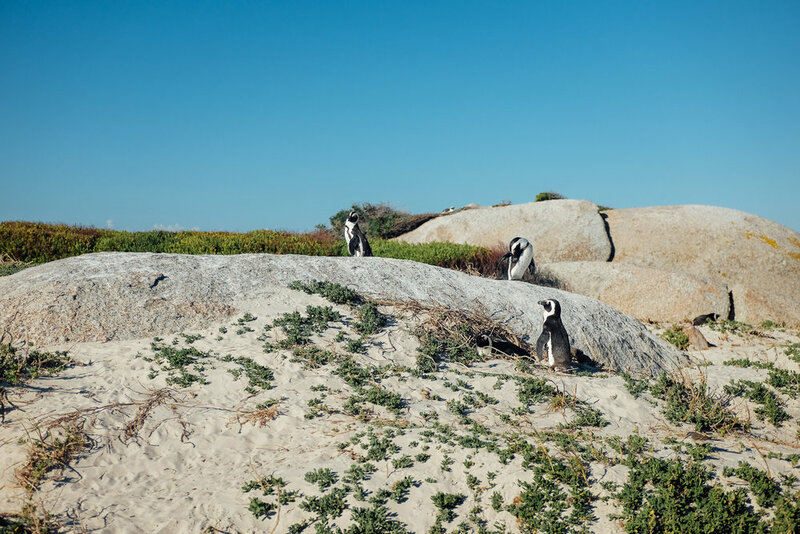 We stopped at a charming seaside town called Simon's Town, and visited with a penguin colony at Boulders Beach. 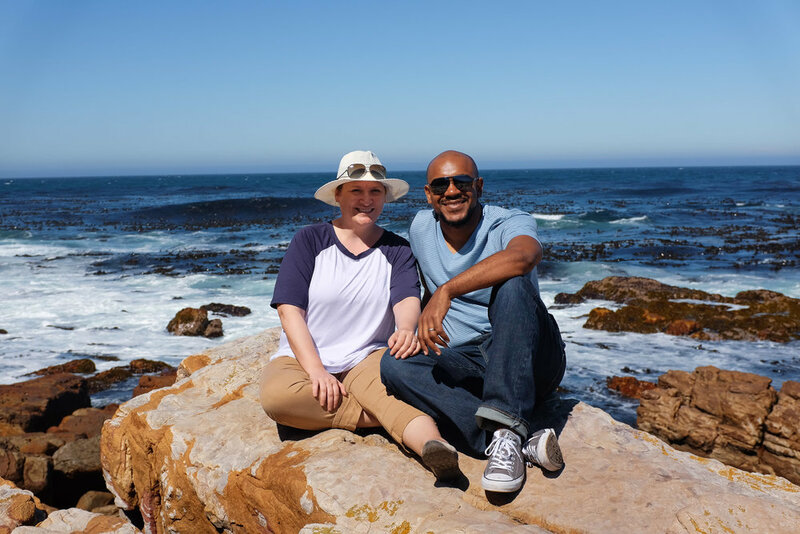 We had a little scare in Simon's Town as we headed back to the rendevous point for our tour bus, and realized that we, along with another family, had been left behind. I scrambled to call our tour guide's cellphone, and they came back and got us. Luckily, they hadn't gotten that far. 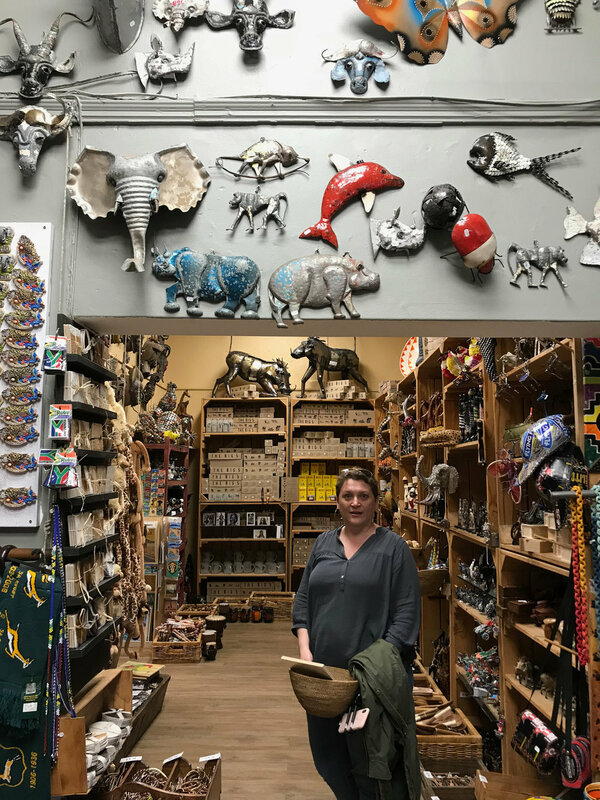 On our last day in the city, Stephanie and I opted out of the shark-cage diving and wine tasting activities that were offered as part of the tour, and decided to do our own thing instead. (Side note: we would have loved to go shark cage diving, but it would have entailed five hours of driving and no guaranteed sharks sightings.) 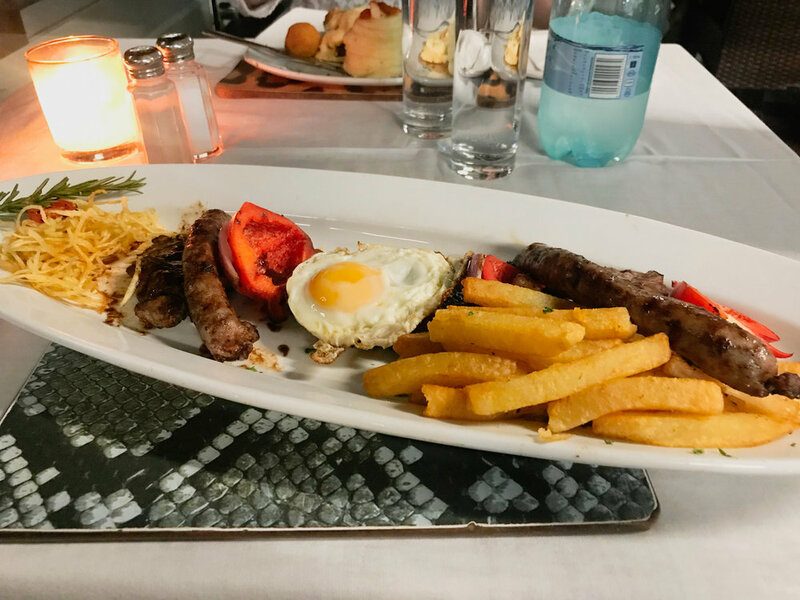 We ended up visiting the Muslim Museum in Bo-Kaap, going paragliding from Signal Hill, taking a tour of Langa Township, and having a lovely dinner back at the Waterfront. I think we made the right choice. The visit to the township was sobering. 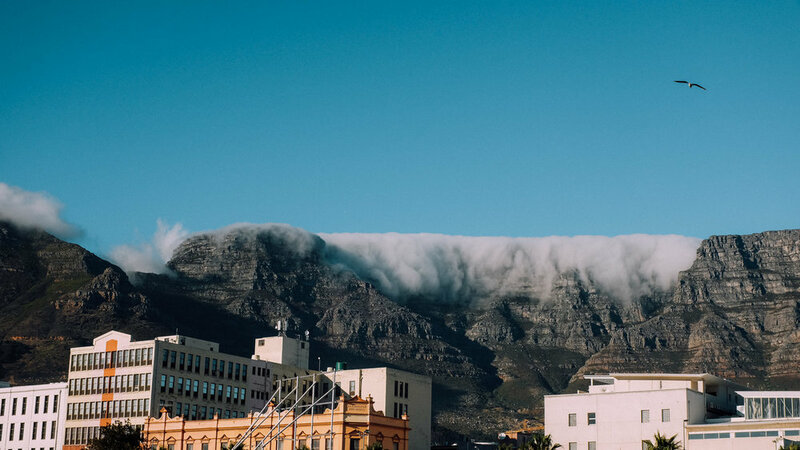 It would be easy to visit Cape Town and come away with only the most abstract awareness of the legacy of apartheid; going to the township was a way to come face-to-face—if only in a very superficial way—with the reality of many South Africans' daily existence. 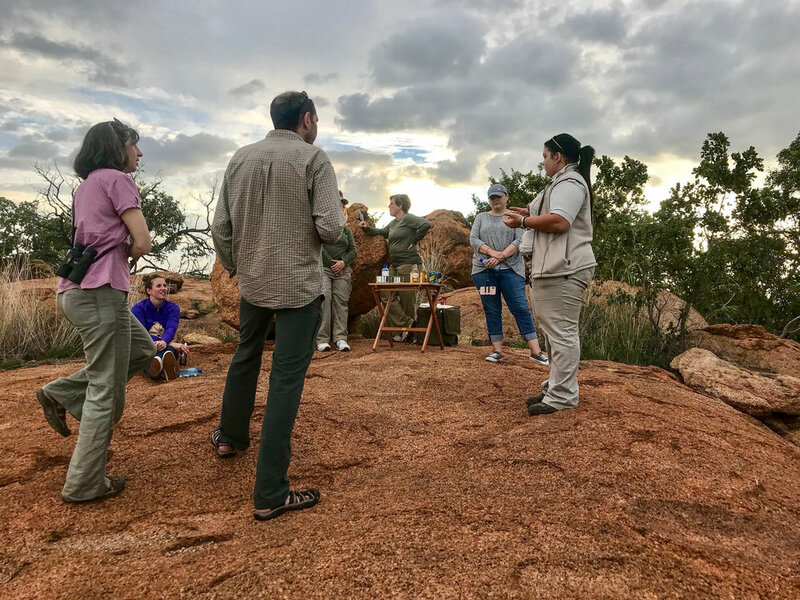 I initially felt a little weird coming in as a spectator to peoples' hardship, but our guide assured us that they were grateful for our visits, because they understood that we were interested and came to learn; and that because we were there, some of them would earn an income. They encouraged us to take photos and say hi to the locals. 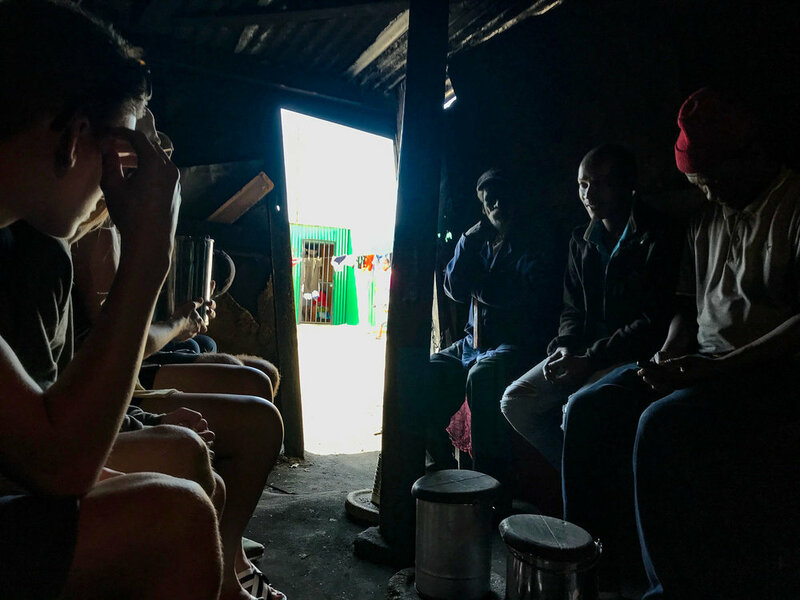 In a shabeen, or speakeasy, I got to sample umqombothi (pronounced with the !Xhosa click), which is a local beer made from fermented corn and sorghum. It is definitely an acquired taste, and I didn't acquire it from that one sip. Also, I wasn't a fan of the healer that we visited; his space was dark and impossibly claustrophobic, and filled with unidentifiable, unpleasant smells. And lots of animal parts: skins, hands, horns and the like. 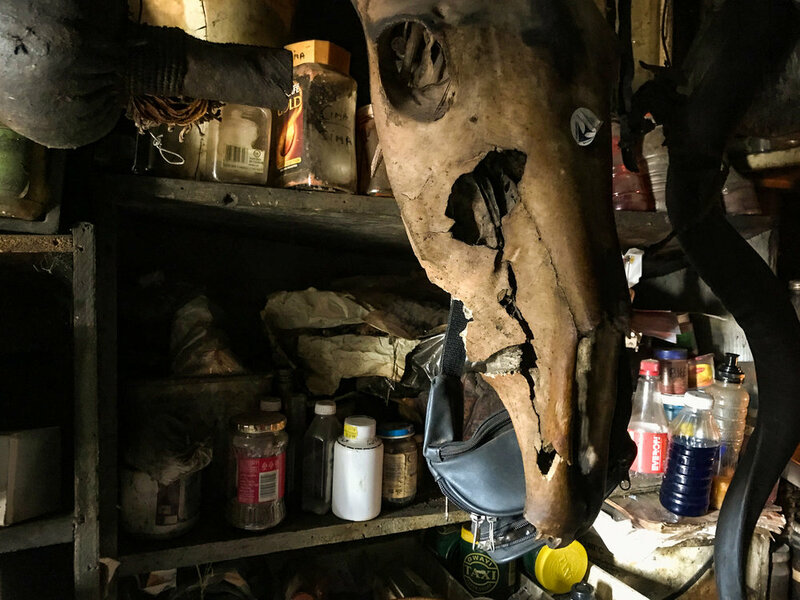 I definitely got a bad vibe in there—but it was still an interesting part of the experience. 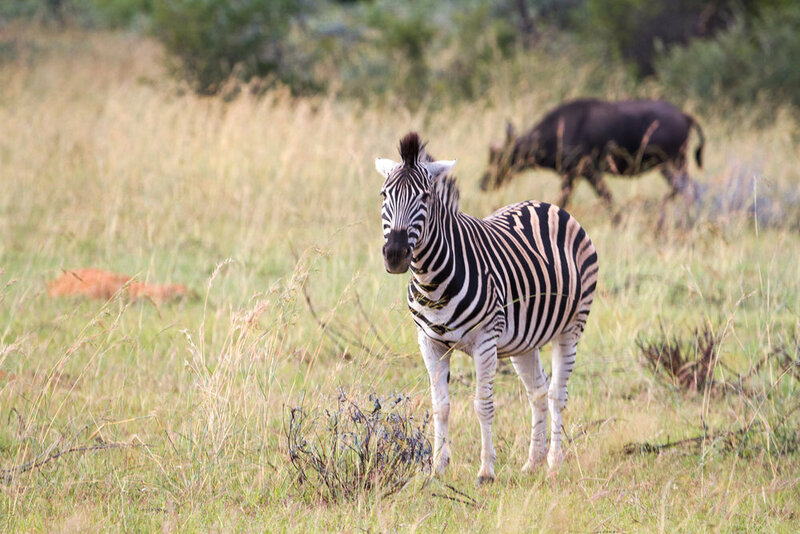 To start the second half of our trip, we took a flight to Johannesburg, followed by a 3-hour bus ride to Mabula Game Reserve, in Limpopo. 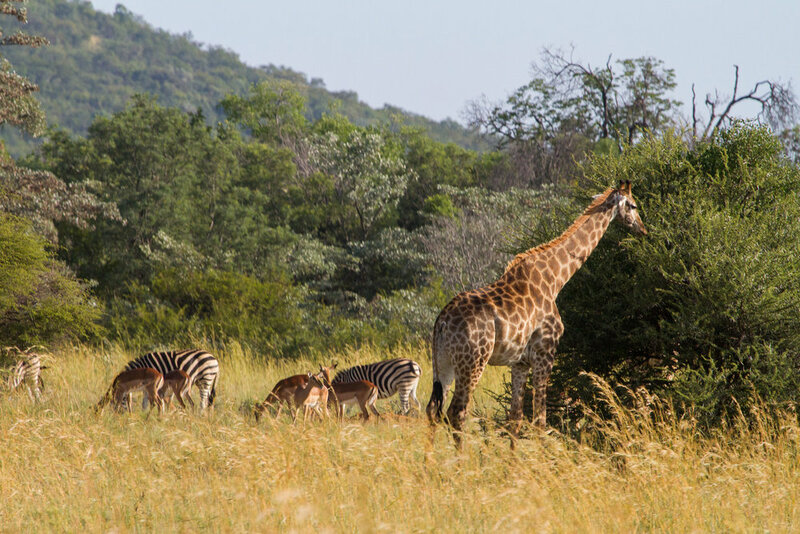 After settling into our cabins, we were separated into groups of about 10, and then assigned to guides that would lead us on our safari drives for the duration of our time at the lodge. 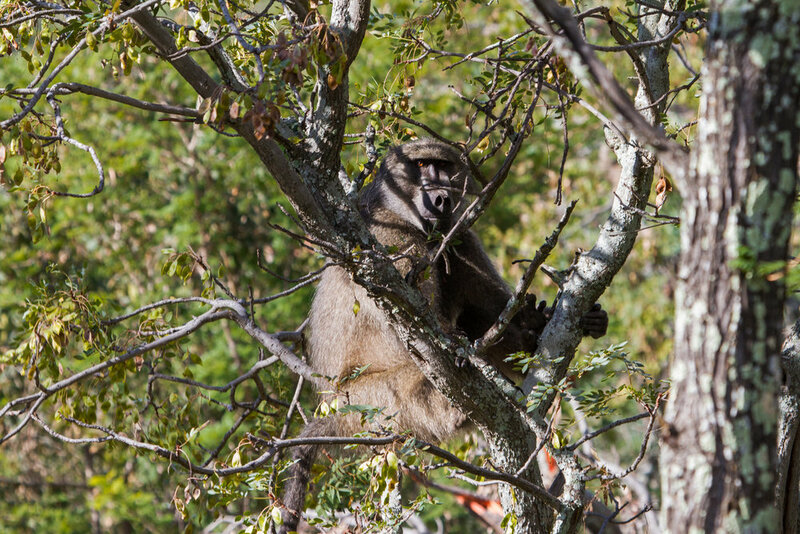 Our guide, Sharon, was incredibly knowledgeable, and was masterful at spotting animals for us. 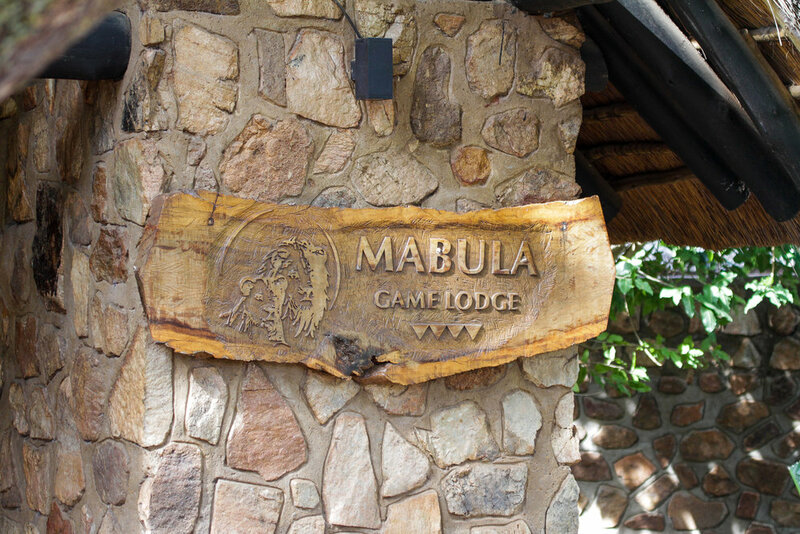 Mabula is fairly small at only ten hectares (roughly 38 square miles), so we had good odds of impressive sightings. 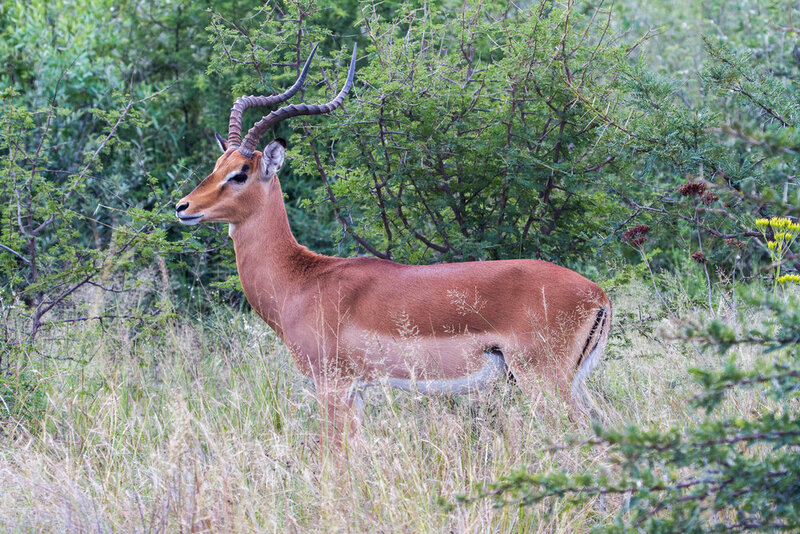 Of the "Big Five" animals (lion, rhino, elephant, Cape buffalo and leopard), we only missed one - the leopard. On our very first game drive, the evening we arrived at the lodge, we had an incredible encounter with three male lions (two adults and one juvenile). 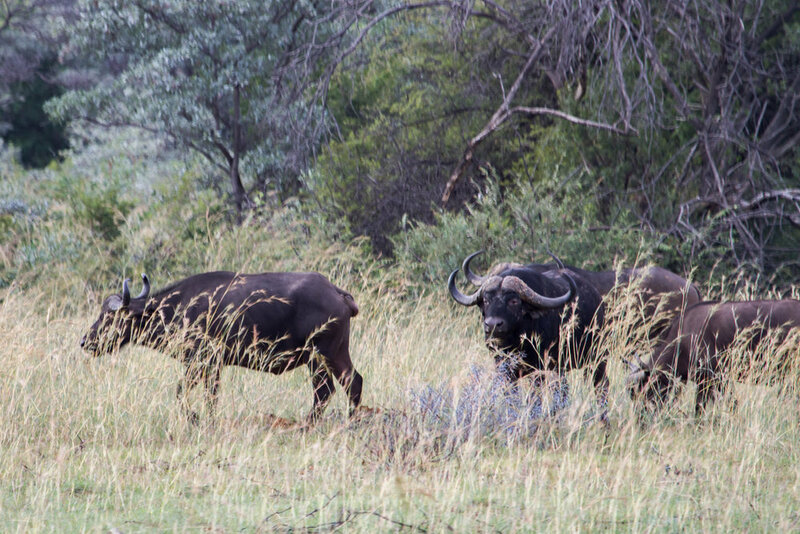 They were so close to our vehicle, we could feel it in our chests when the alpha male began vocalizing and calling out to the females, who were out hunting. 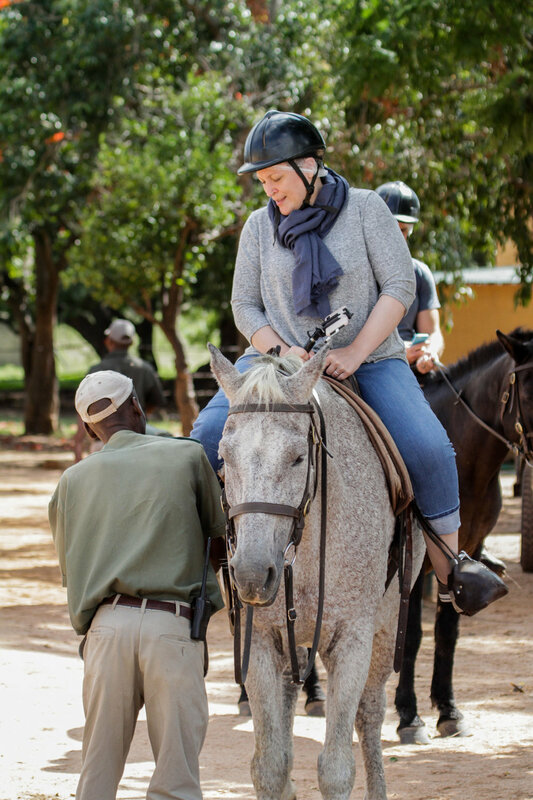 We did several morning and afternoon/evening game drives, and since our planned hot air balloon ride had to be scrapped due to high wind speeds, we opted for a horse-back ride instead. 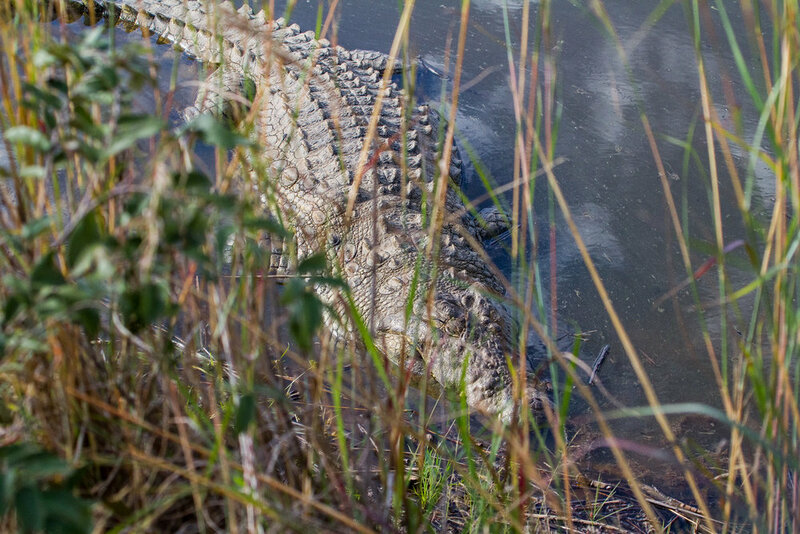 This was cool, because we were able to go off-road and get really close proximity to some of the animals. 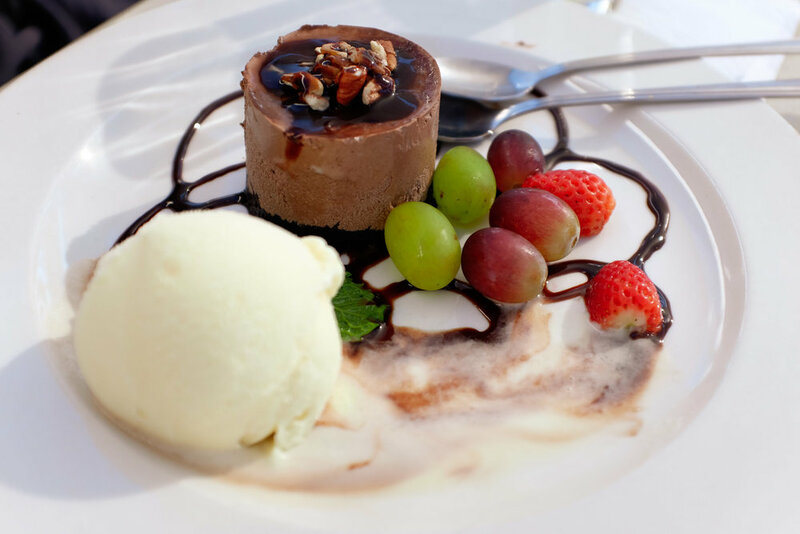 Since we were at a game reserve, I made a point to try some game dishes, like ostrich carpaccio and kudu casserole. I also tried "pap", which is a maize-based porrige, kind of like grits or cream of wheat. After just over a week, the trip was finally over. One nice touch was that as we were on the bus, on our way out of Mabula, we had one last sighting of a female lion casually watching traffic go by, at the game lodge across the street. We drove back to Joburg, and flew back to Dubai, and on again to New York. 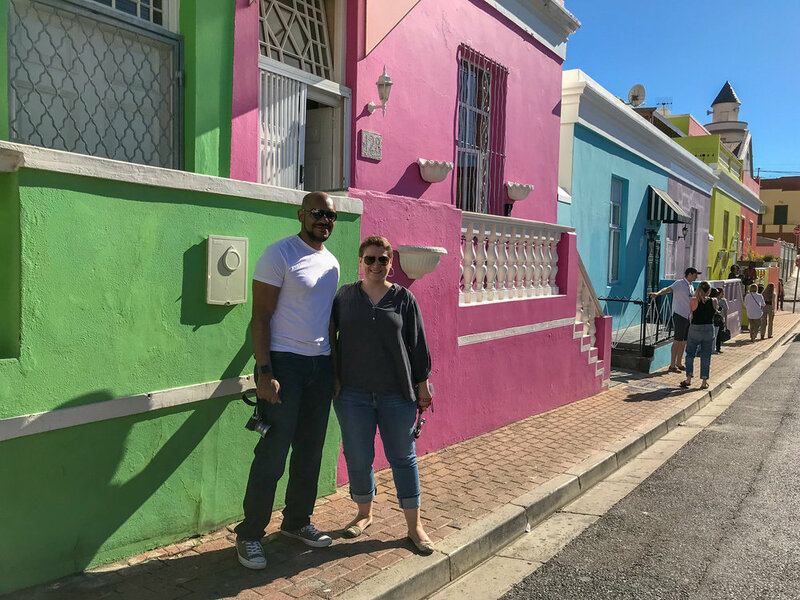 We met lots of really wonderful people—both locals in South Africa, and fellow travelers that were in our group—and as usual, we can't wait for the next adventure to come along.